A great visit onboard Harmony of the Seas. 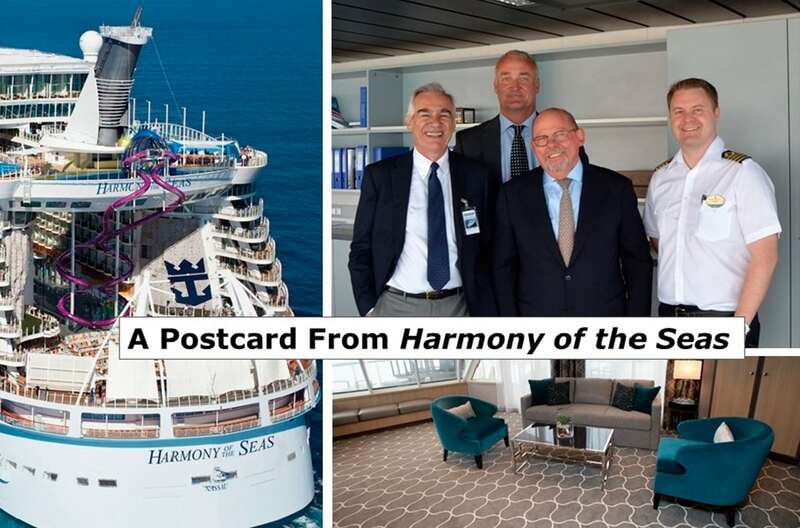 “The Danish Delegation” with the participation of Denmark’s Ambassador in Italy, Birger Riis-Jørgensen, at a great visit onboard Harmony of the Seas in Civitavecchia, Rome. Exclusive tour on the spectacular ship, and exceptional access to the navigation bridge, where we greeted the Danish Staff Captain, Kenneth Møller. We also got a glimpse of the fine carpets, which we have delivered to the ship.